A couple of Portland businesses – Salt and Sea and Eat Local Fish – have adapted the CSA concept for the waterfront, selling just-off-the-boat seafood directly to you. PORTLAND – Summer’s the time that I like moving from chowders to fish cooked on the grill. It’s a light meal, and combined with vegetables from the farmers market, you just can’t go wrong. So my ears perked up recently at a dinner I attended during the Kennebunkport Festival when the topic of fresh fish came up in the conversation. A couple at my table, Burgess and Georgette Nichols of Quincy, Mass., raved about some fresh-off-the-boat Atlantic pollock and Acadian redfish they’d bought in Portland during one of their monthly trips up to Maine. When it comes to seafood, Portlanders have their secret sources — a favorite, trusted fishmonger who sells them local mussels or clams, or a lobsterman they can meet at the dock when he motors in after a long day on the water. But when it comes to groundfish, things get a little tricky. Don’t get me wrong. I’m sure the haddock you buy at one of our local fish markets is, in most cases, relatively fresh. We do, after all, live right on the coast. But wouldn’t it be nice to know for sure that your fish filets hadn’t been languishing in the case for several days? And wouldn’t it be nice to know that you don’t have to settle for that previously frozen foreign product found in a lot of grocery stores? Well, it turns out there are a couple of direct-sales options for fish right here in Portland. These two companies may be competitors, but their businesses work in two entirely different ways, so you can pick whichever method works best for you. The Nicholses bought their fish from Allyson Jordan, owner of two fishing boats and a side business called Eat Local Fish (eatlocalfish.com). Jordan sells her fish online or over the phone, by the pound, and she’ll personally deliver it right to your doorstep. The other buy-direct option is Salt and Sea (saltandsea.me), which is more of a traditional community-supported fishery that is less than a year old. Salt and Sea is similar to Port Clyde Fresh Catch, the popular midcoast CSF that has gotten nationwide attention but does not deliver to the Portland area. With this option, you pay upfront for several weeks’ worth of deliveries, and pick up the fish yourself at one of several drop-off points. 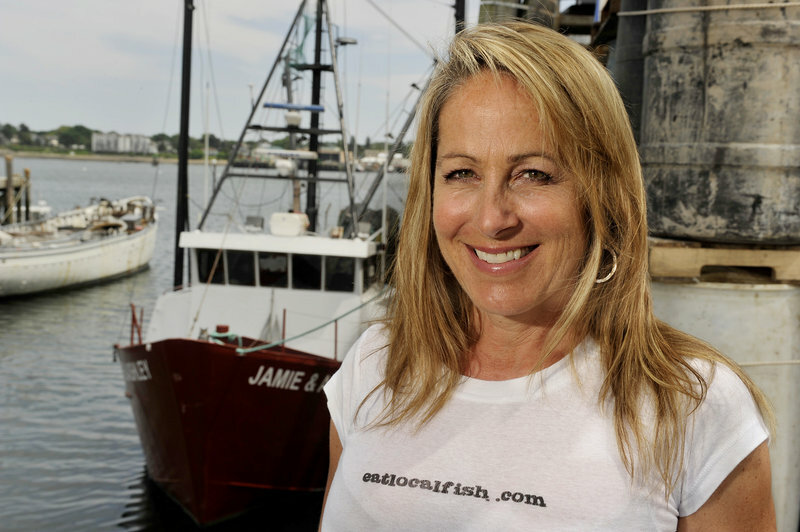 Salt and Sea, started by Justine Simon and her fishing family, works with a handful of local fishing boats. Allyson Jordan sells fish from her family’s two boats, the F/V Theresa & Allyson and F/V Jamie & Ashley. Yes, that first boat is named after her — and Theresa is her 70-year-old mother. 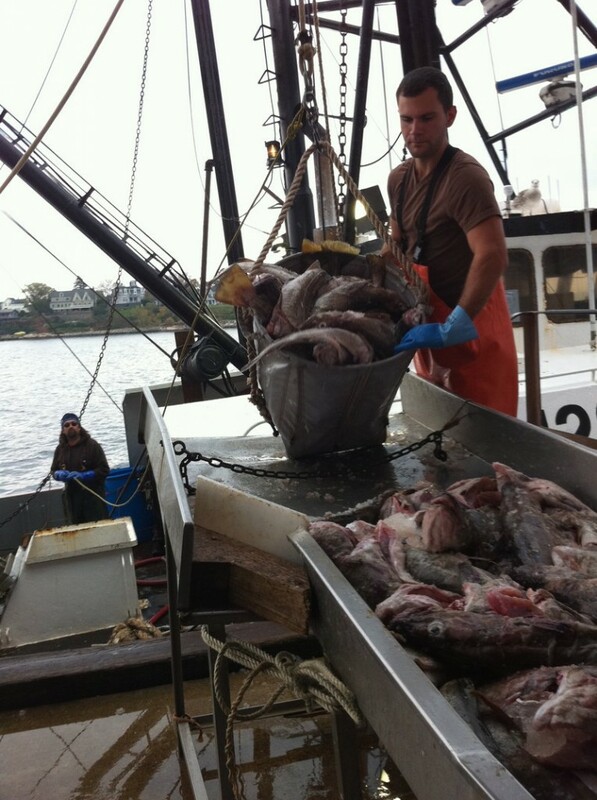 “It was the last groundfish boat built in Maine at Washburn & Doughty (in East Boothbay),” Jordan said. Jordan fished with her father, David Jordan, for many years, even after she had begun to build her own life in Boston. Jordan took over running the fishing business 14 years ago, right after her father died. She’s become an active voice in the debate over fishing regulations. Jordan started Eat Local Fish about three years ago, and has let the business grow slowly, mostly by word of mouth, because of the time it takes to focus on her other duties — including doing all of the maintenance on the boats herself. She didn’t actually start selling fish until January 2012. She now has 178 people on her mailing list. Her busiest time of year for direct sales is December to May, but she sells fish year round. This summer, she plans to focus mostly on flounder (American plaice or dab) and some of the lesser–known, underused fish that have been the focus of the Gulf of Maine Research Institute’s “Out of the Blue” campaign: Atlantic pollock, redfish and hake. Jordan’s customers sign up for her newsletters, which let them know when fish is available. This week, for example, the F/V Theresa & Allyson came in on Monday morning with Georges Bank haddock and cod, redfish and pollock for grilling, and hake and flounder. That fish was available for delivery on Tuesday. The fish is made grill- or stovetop-ready at a fish-cutting house in Portland, where it is cut into either filets or steaks. You can also buy it whole. Customers who are interested in buying, say, the pollock for $6 a pound either call Jordan directly, email her, or order on the website with Paypal. She confirms each order and arranges for either delivery or pick-up. You can also have orders shipped. You don’t have to be home to get home delivery — but you do have to leave an ice chest at your door filled with enough ice to keep the fish fresh until you get home. Jordan has delivered fish as far away as Dayton, Buxton and Bethel. The F/V Jamie & Ashley was due in port today or Thursday. Jordan said things will slow down bit in July, when she has some maintenance to do (and when hot dogs and lobsters rule Fourth of July festivities), but she expects to be doing four landings a month again in August. Jordan has recipes on her website and is always offering her customers advice on how to prepare the fish she sells them. Recently, for example, she marinated some redfish in citrus, cilantro, red onion and pepper, then threw it on the grill. That redfish was used in a lettuce “taco” with guacamole. The Nicholses heard about Allyson Jordan on a Boston radio station, and waited until their next visit to Maine to order some redfish and pollock. They met Jordan down at Holyoke Wharf off Commercial Street, where her boats come in, to pick up their order. “We cooked it that night, and it was absolutely wonderful,” Burgess Nichols said. Salt and Sea started out with just four members last November. 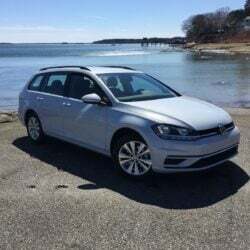 Now they have more than 100 members and pick-up locations all around the greater Portland area and from Brunswick to Kittery. 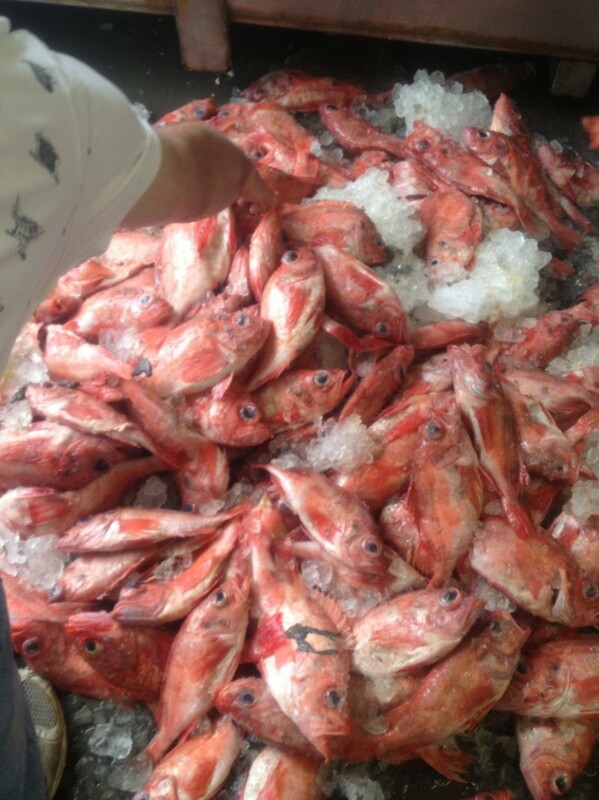 Members pay upfront for regular weekly deliveries of fish over a two-month period. A single share, for example, includes deliveries of at least one pound of filets, enough for a weekly meal for two, for $96. The double share is two pounds of fish a week for $160. 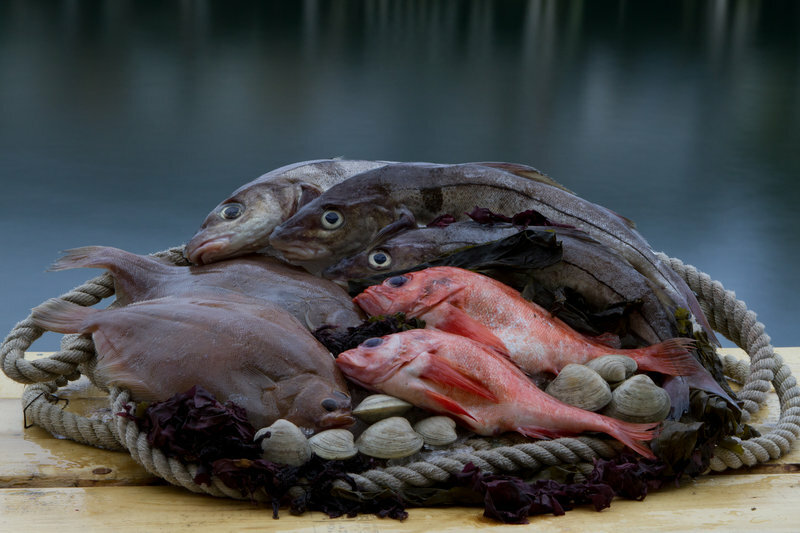 The fish varies from week to week, but could include redfish, haddock, monkfish, pollock, flounder or hake. Simon recently began including squid and whole mackerel on that list as well. Occasionally members get some “extras” — homemade hake cakes and one of six varieties of seaweed. Typical seaweeds are dulse for snacking, wakame for miso soups, and sea lettuce for salads. Unlike a vegetable CSA, you can join this CSF anytime, and if you’re going on vacation or just can’t pick up your fish some week, you can put your account on hold. The fish is stored in slurry ice, and isn’t cut until the day it’s delivered. So next time you’re thinking about treating your summer guests to some fresh lobster, consider adding some fresh local fish to the menu as well. It will be good for the fishermen and — if you buy the under-used species — good for the Gulf of Maine ecosystem as well.